Women are leading the struggle in Latin America against environmental destruction as well as Indigenous rights, but they often face assassination, jail, threats and violence. They not only fight against gender inequality, but also demand wider societal transformation of a patriarchal system that doesn’t work for them as women — even though it is working exactly how it’s supposed to. That is, the inequality and commodification that drives the capitalist system exploit women, keeping women in a second-class caste system. At the same time, women’s participation in social struggle is their way of asserting and vocalizing their own worth in a system that doesn’t value them. This devaluation results in violence against women that is not a matter of isolated incidents or individual “bad apples.” Instead, violence against women, especially Indigenous women and women of color, is a structural component of the capitalist, colonial state. Capitalism and colonialism — both patriarchal systems — don’t see inherent worth in women’s bodies and the work they do, and instead commodify them. This positions violence against women as a justified and structural part of the state that upholds these systems. The proposed Conga mine project would threaten the local ecosystem with contamination of the cyanide-leaching, open-pit mining process and transform at least one local lake into a waste pit. Acuña’s fight has been an inspiring story as a victory for small Indigenous farmers against transnational corporate power. She was awarded the prestigious Goldman Environmental Prize in 2016. Machi Francisca Linconao is an important spiritual leader of the Mapuche people imprisoned since 2013 and still awaiting trial. Indigenous movements say her imprisonment is part of a strategy to criminalize the Mapuche fight for their ancestral lands. Her health is in now danger, and activists are calling for her release. Linconao was accused of arson along with 10 others, which led to the deaths of two powerful landlords, Werner Luchsinger and Vivianne Mackay. However, the evidence that was used to detain her, using an anti-terror law, remains suspect with the main witness retracting her statement. Sala is a lawmaker and leader of the Tupac Amaru movement who was arrested in Jujuy on Jan. 16, 2016, after staging a month-long sit-in against Jujuy province’s Governor Gerardo Morales, an ally of President Mauricio Macri. Leader of the 70,000-strong Tupac Amaru organization and a representative in Parlasur, the parliamentary bloc of South America’s Mercosur, Sala led protests against the Macri government’s neoliberal policies alongside other activists. The U.N. and the OAS have demanded her release. Berta Caceres, assassinated in March despite police protection, was a key leader in the Lenca struggle against the Agua Zarca Dam, a controversial development project in the community of Rio Blanco that was put in motion without consent from local communities. She, along with other residents, led a successful campaign to halt the construction of the dam, but the community has continued to face systematic harassment. Her family is still awaiting justice. She won the prestigious Goldman Environmental Prize in 2015. Her assassination rapidly sent shock waves across the country and sparked outrage over her death. 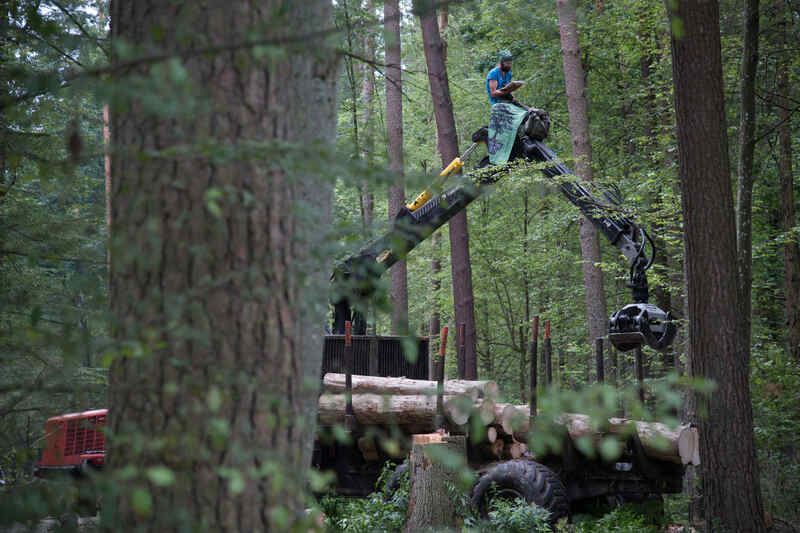 The logging of ancient Bialowieza Forest has been blocked and equipment occupied for two days in the row now. 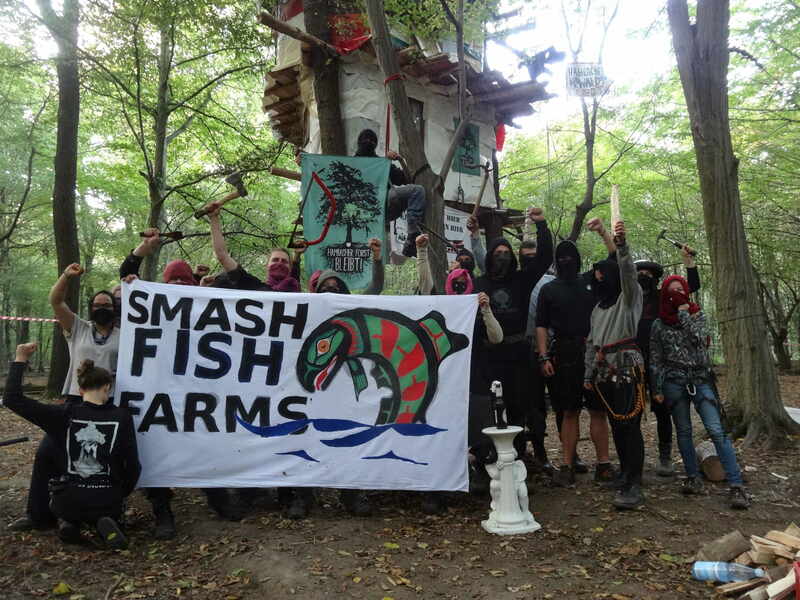 On Thursday a group of activist locked on to the harvester and a forwarder resulting in the longest logging[longer blockades of equipment parking spots of several days have takenplace] blockade of over 9 hours. Next day on Friday over 15 people locked-on in a chain and were joined by additional 30 people forming a road blockade in front of the trucks carrying over 130 year spruces out of the forest. The oppositions to this wanton destruction of the last ancient forest in Europe has recently heated up and received additional support after the European Court of Justice made a rulling calling on Polish Goverment and its „Enviromental“ Ministry to immediately seize logging of over 100 year old part of the stands of continental forest. The government in turn is now attempting to employ an arbitary loophole by heavily cutting next to roads and claiming that it is done for safety. At the moment old growths are being cut as far as twice the height of the crown from the road. The response of the camp in defense of the forest has been establishing of daily partrols searching and locating logging activity and monitoring the location of endangered species many of which are listed as both endangered and protected by both the Polish and European authorities. Still it is only grass-roots self organized actions that have been able to affect the loggin of this biodiversity hotspot. 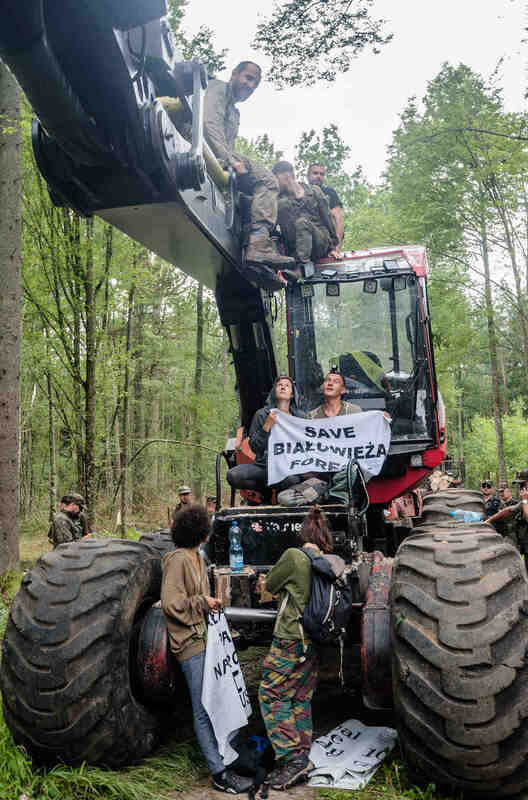 The classic cat and mouse tactics deployed the world-over by eco-activists infiltrating the logging sites has seen the reversal of roles in Bialowieza as it is now the activists who have taken the roles of the cat with the large equiment and operators attempting to flee the scene as soon as activists show up. This has not prevented a group of over 8 activists on Thursday from chasing and locking on to a harvester in the early hours of the morning. They were divided into those with lockon metal pipes coverd with isomats and a second group that carried only rolled isomats which looked as if they contained pipes. The group carrying the decoys was lighter and went ahead and was intercepted by about 5 forest guards who then detained them and proceeded to take their personal information and issue fines for tresspassing as the second group locked on to the harvester. The harvester however continued to drive away from the cutting site with 8 people having climbed on top and hanging from its sides, some being dragged on the ground. This continued for about 100 meters and was only stopped by a person standing in front of the machine. The 5 foresters on the scene were then joined by one or two more who were blocking the surrounding roads. About an hour elapsed before about 30 more joined in. Attempts to negotiate by offering to stop cutting for the day if people unlocked were made. 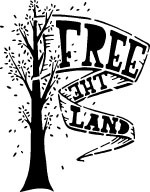 The response was discussing the possibility of forestry employees going on a strike and engaging in local folk singing, a result of one of the in camp workshops the previous instances the media and the recording devices were taken away so an attempt was made to climb a tree next to the harvester. Unfortunately a fence in between was quickly pulled down and the activist grabbed by a foot being pulled while hanging on a waist tape which was eventually reached and cut. The silver lining of this situation was that the same activist when being id and fined for tresspassing was able to jump on a forwarder manuvering around parked police and forestry vehicles. The all terain forwarder with a grabber works in tandem with the harvester cutting and loading over 200-400 trees a day. The other vehicle being blocked and stopped by climbing on top of its loading arm drew the guards from the harvester alowing those locked on to reposition themselves into better locked on positions. The vehicles were seperated by 100 meters alowing for visual support. The forwarder was kept running vibrating and at times stuttering violating all workplace regulations that call for stopping of all dangerous equipment when people are in the way. After the grabbed arm was lowered and the climber pulled down the forwarder drove back to the harvester and was used to access and pull down 3 people sitting on its cab. Then the forwarder backed up to the still locked on activists with its exaust going on full blast, attemping to smoke out and poison those still attached. Futile attempts were made to dissaseble the parts through which pipes were attached, some bracelets were reached and cut by pulling the arm out of the shorter pipes, one of the locked on activists in a pair was pulled through an small opening, another group was attached to a round closed hook that was cut. Two pairs were then carried, still locked on together, by 7 cops and then served fines for tresspassing on a restricted forest area and then left in their lackon. This blockade resulted in cutting starting at 3 am next day and when the new group showed up all the equipment quickly left the forest. Later in the day patrols spotted trucks loading on the wood and taking it out of the forest. The new blockade was organized and was set up on a road next to a park parking lot resulting in large traffic of hikers and bicyclist offering their constant support and often clapping. When the forestry goons finally massed up several hours later they walked past the blockade when the cops were also on the scene checking ids and walked to and surrounded the truck behind the barricade. The truck was backed out into the forest while surrounded by 50 guards while cops were bussy trying to prevent journalists from filming and recording the notices and citations they were being issued. When the groups returned back to the Camp they were met with additional supporters offering support in the form of food, supplies and their energies. 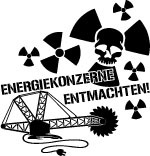 This is the counterbalance and response to the latest statements of the enviromental ministry stating that the continuation of cuts is a matter of public safety and that its stop would cost aprox a billion euro. 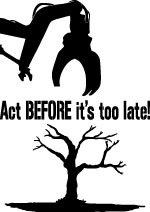 This folows statements on how the trees being cut are infected with the bark beetle and worthless economically. Those statements indicate that the cutting will continue and that to justify the exploitation and destruction of this priceless biodiversity hotspot the arguments might change at will but profiteering and destruction will not espacially if it goes unopossed. 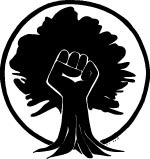 That last option is not very likely as the Bialowieza struggle has mobilized a wide coalition of ecological groups, projects and many unafiliated individuals from around Poland and the World as well as it has electrified many in the local community who form an integral part of its core and support. This is just the last paragraph of the text about the chief of the Aacen police, who coordinates everything that the do in the Hambach Forest. The rest is not translated. So if you can read German, click on the “Deutsch” button. We are confronted with armed and force-trained police officers. We do not imagine that we can arrive with a violence-oriented strategy. That this is what Weinspach describes is deliberate disinformation. He wants to justify the brutal action of his forces in advance. He seeks to isolate us through defamation because he knows that we have a strong backing in the population for our purposes. 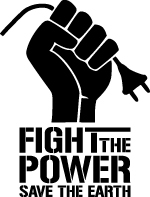 We trust that many people will see through this strategy and stand in solidarity with each other despite the attempts to split!